Terrace awning makes your yard more comfortable for hot summer days and rain. The awning prolongs your terrace’s yearly usage time and protects you and your furniture from direct sun light. Keep the summer going regardless of the weather with a reliable, functional terrace awning. We have a wide selection of awnings available to match the size and need of your terrace. Choose the best match for your terrace. Terrace awnings can be attached to either to the wall or the ceiling. 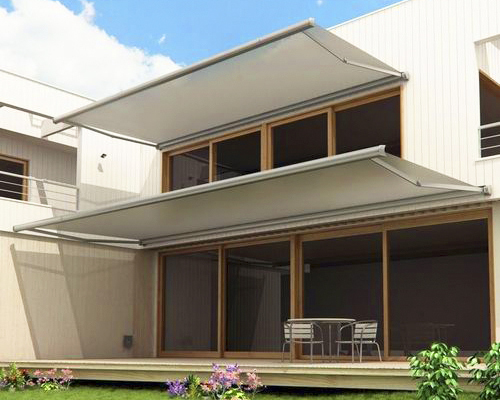 Sunsystems –terrace awning’s maximum reach is four meters and the maximum width is seven meters. If necessary you can connect several awnings side by side. Go to our awning selector. Sunsystems Tm800 is a fully encased terrace awning with a quality finish that makes for a classy outlook. This model retracts into its shell becoming an unnoticeable part of your terraces facade. Three standard colors available for the chassis (white, silver and black) along with a number of custom colors. 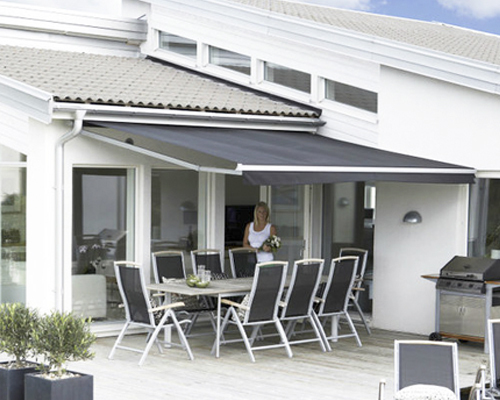 TM800 –terrace awning’s maximum reach is four meters and maximum width is seven meters. The awning is only available motorized. Sunsystems TM770 is a fully cased terrace awning with all parts are enclosed in the case. Elegant and streamlined design with strong supports characterize this awning. Three standard colours available for the chassis (white, silver and black) with all RAL –colours available optionally. 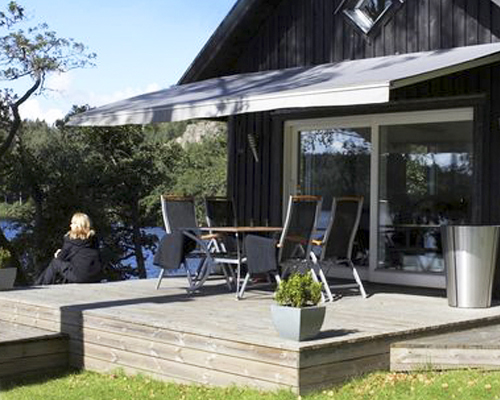 TM700 –terrace awning’s maximum reach is four meters and maximum width is six meters. The awning is only available motorized with attachment available at the ends of the awning. Sunsystems TM500 is a modern terrace awning with stylish design, variability in function and quality chassis makes this awning a long lasting, popular choice. TM500 is a very versatile model that is easily customized according to the clients wishes. The awning is available with traditional Classic ends or rounded Design ends. Additionally available: a foldable front cloth, centre support and a protective canopy. Three standard colors available for the chassis: white, silver and black. Terrace awning TM300 is suitable as a cover for a small terrace or patio. This slender terrace is easy and light to use. Well designed structure and elegant design gives this awning an elegant outlook and a long lifespan. The chassis color is silver. 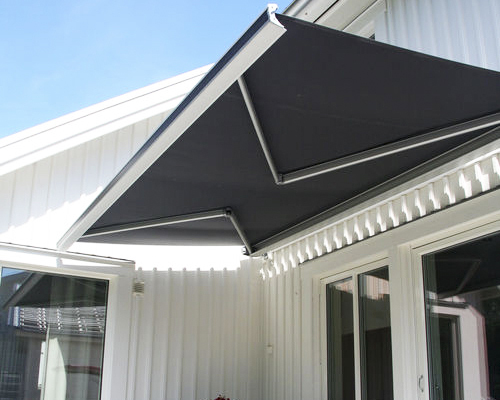 TM300 –terrace awning’s maximum reach is 2,5 meters and maximum width is five meters.